Coast redwoods are the tallest trees on Earth – and they live right in our backyards. The coast redwood is one of three remaining redwood species on the planet. This tree only grows along the Pacific coast, from Big Sur up north to the southern part of Oregon. The old growth coast redwoods (trees that have been left undisturbed for long periods of time) are far fewer than what they used to be 150 years ago. The California Gold Rush of 1848 brought about huge population increases in the San Francisco Bay Area. To meet the growing demands for wood to supply developments, settlers turned to lumber from coast redwoods. 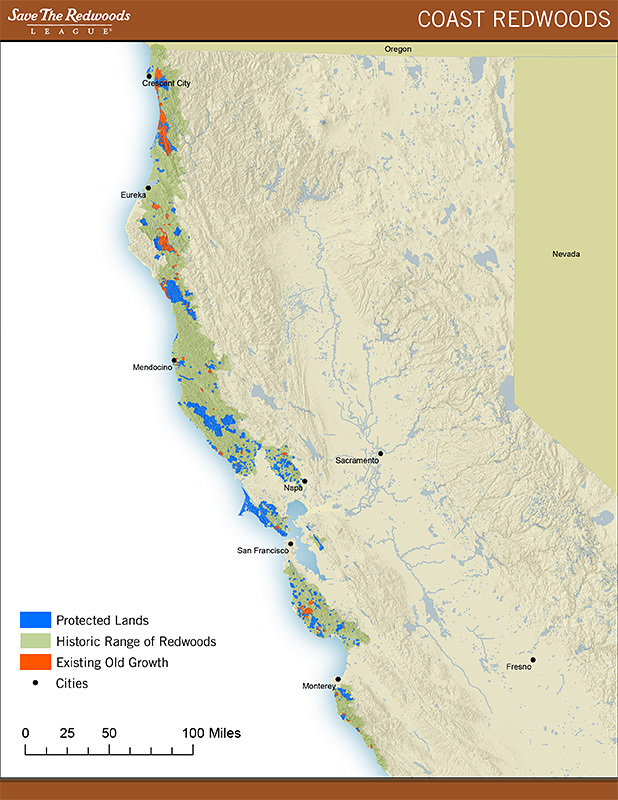 It is estimated that only 5% of the old growth coast redwood trees remain today. The area that is now Huddart Park was once in the middle of large redwood lumber operations, with 5 operating sawmills around the park. It has been over 100 years since the logging, giving time for new growths of redwood trees. In 1935, the wealthy lumberman James Huddart donated 900 acres of the area to the County of San Francisco. The land has changed hands a few times since, and now is under the ownership of the County of San Mateo. Please note that there is a $6 fee to enter the park. Dogs are not allowed.